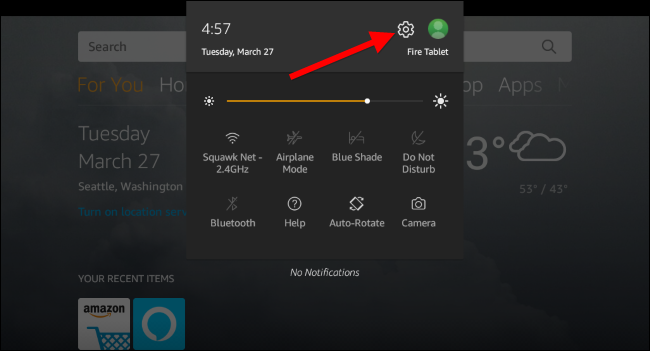 Which Amazon Fire Tablet Model Do I Own? Amazon’s Fire Tablet, formerly known as Kindle Fire, comes in 7, 8, and 10 inch versions. Even if you know you have a Fire, Fire HD, or Fire HDX, there are several different generations of hardware. Here’s how to tell exactly which tablet model you have. This information is easily accessible in the Fire Tablet’s settings screen. To open it, pull down from the top of the screen, and then tap the gear icon. 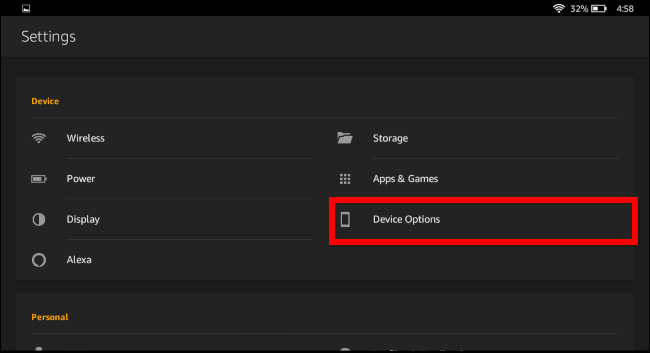 Under the Device section on the Settings screen, tap the “Device Options” entry. Look for the “Device Model” field. This displays the name (and generation) of your Fire Tablet. If you’d like more information about your Fire Tablet’s hardware specifications and how it compares against other Fire Tablets, you can view the Tablet Device Specifications page on Amazon’s website. It’s intended for app developers, but it provides detailed information about the hardware in all Amazon’s tablets. 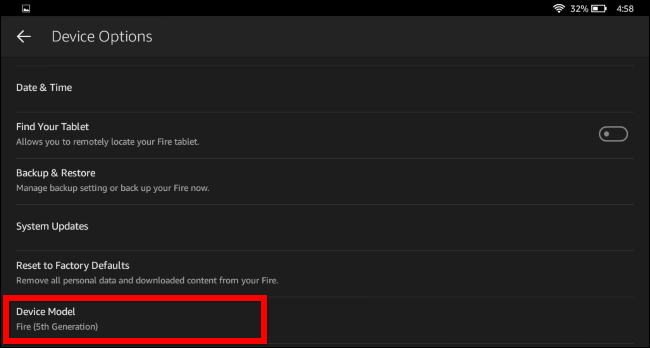 For example, in the screenshot above, the device’s name is “Fire (5th Generation).” This tablet appears as the Fire (2015) “5th Generation” tablet on Amazon’s device list. Amazon’s Fire Tablets are available with different capacities. For example, there are versions of the 7th generation Fire Tablet, also known as the Fire Tablet (2017), with either 8 GB or 16 GB of storage. Your tablet won’t have quite as much storage as you might expect, since the Fire Tablet’s operating system—the Android-based Amazon Fire OS—takes up some of the space. 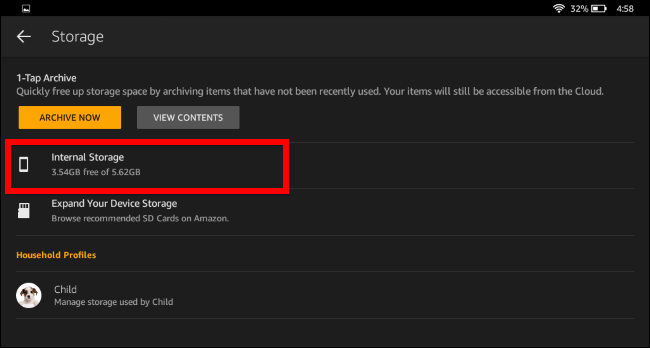 For example, in the screenshot below, our tablet says it has a total of 5.62 GB of space. This means it’s an 8 GB model. If your tablet says you have closer to 16 GB, you have a 16 GB model.